Max has over 18 years of experience in real estate sales, development and appraising. Focusing on representing the finest homes in the North side of town and comes with over $1 billion dollars of experience in residential sales in San Francisco. Prior to joining Compass, Max was part of the #1 Real Estate Team at Coldwell Banker Previews International. • Consistently ranked top 1 % Real Estate Team in SF for over a decade. A born and bred San Franciscan native with a deep love for the local architecture, Max is no stranger to the city's niche neighborhoods and nuanced microclimates. According to Max, "home is more than a house. Home is a feeling." Which is why he takes a relationship-based approach to truly understand a client's unique priorities. 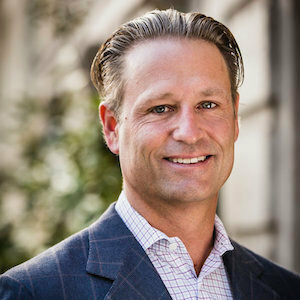 A Russian Hill native and Northside expert, Max is equipped with years of experience, unparalleled expertise in the local real estate market, and an extensive network of relationships that enable him to stay ahead of the game. Netting 1 billion in sales over the course of his 18-year career, Max has certainly made a name for himself in the real estate realm. Consistently ranked in top 1% for over a decade, it's Max's gregarious nature and refreshing approachability that's made the seasoned veteran a sought-after agent. Instilled with youthful energy, unrelenting dedication, and a get-it-done attitude, he's an expert at garnering exposure in San Francisco's highly-competitive market. A commercial real estate appraiser for four years prior to becoming an agent, Max is convinced that he got a Master's in real estate. Equipped with a strong sense of cap rates, construction techniques, and underwriting demands, he made the move to sales in 2004. In the years following, he's earned a reputation for being loyal, passionate, and creative in his marketing tactics. Max works diligently to land the perfect home and he makes it a habit to stay in touch long after the moving boxes are emptied. Regardless if you're buying, selling, renovating, or simply seeking the best barrel-aged Negroni in town (it's at Spruce, btw), Max will make sure you find exactly what you're looking for. Ever-driven, from sunrise surf sessions to late-night negotiations, Max always operates at a full-out sprint. Proof? His adventure-ready Sprinter van. He's made a habit of lending it to clients for Tahoe trips and Baja adventures alike. An avid outdoorsman involved with a number of eco-conscious organizations, you'll find him golfing, skiing, surfing, or playing tennis as the Olympic Club come weekends. You may have seen him in the lineup at Ocean Beach or coaching his son's lacrosse games. One thing's for sure, he truly enjoys all of the beauty that the Bay Area has to offer. As the old adage goes, "home is where your heart is." Max's in San Francisco. This Realtor's got big love for his city. Always has. Always will. Max and his team were so professional and outstanding to work with on the sale of my two luxury condos. At a questionable time in the real estate market Max was able to sell both units for record prices! The way the properties were positioned and marketed was top notch and clearly the buyers were impressed as we had multiple offers on both properties. Additionally impressive was the personal time and commitment that Max invested in the success of the project and overall outcome, going the extra mile really made a difference on the sale. My advice is listen to Max! I can't wait for the opportunity to work with Max and his team again! We couldn't be more thankful for Max's help in finding and closing in our new home in San Francisco. It was very clear from our long process that Max's expertise, market understanding, and diligence helped us to not only find the right house for our family but more importantly avoid the wrong house. During our 6 months looking for a home we felt more and more confident that we were in the right hands with Max and his team. We have been recommending Max to our friends and would recommend him to anyone looking for a new home in San Francisco. Amazing Team to work with, we have been working with Max Armour for over 10 years across 20+ transactions and everyone has been different but max makes each one a positive and fun experience. I am eternally grateful for everything Max Armour has done for me, my family, my friends and clients. Thank you Max for all your hard work!!! Max Armour found our family the perfect home prior to our move to San Francisco. It was a pleasure to work with him through every step of the process. 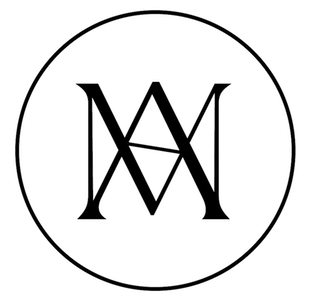 From the beginning, Max demonstrated intimate knowledge of the market given his deep network and excellent reputation. With his relationship-based approach, Max took the time to clearly understand our priorities and needs, allowing him to offer us tailored options and straightforward, honest advice, resulting in a very efficient process. We have and continue to highly recommend Max Armour to anyone interested in Bay Area real estate. We have purchased several homes over the years. We bought a home in SF, and subsequently sold if a few years later. Max Armour handled the buy and sell of each of these transactions. I am in a commercial real estate developer and investor, and have worked with many real estate brokers and agents. Max was one of the best I have dealt with. He knows the SF market like the back of his hand (he grew up there), but more importantly, we always felt he had our best interest in mind. Max's advice, suggestions and guidance were always selfless. A rarity for sure. Max also has a great understanding of design and construction, sense of marketing and flare, which is really needed in the SF marketplace. We would not hesitate to recommend Max Armour. Max Armour epitomizes professionalism and sets the bar for client service. We recently worked with Max and Zoe on both a sale and purchase of a new home and they expertly helped us navigate the complex San Francisco market. They are attentive, thoughtful, and very hard-working. Their extensive network and years of experience helped us achieve the positive outcomes we were hoping for. We could not recommend Max Armour more highly! From start to finish Max, Zoe, and the team were a pleasure to work with on the purchase of our new home in San Francisco. Max took the time to understand our priorities, talked through the strategy and delivered. Throughout the process he advised us and negotiated with our best interests in mind rather than just trying to close a deal. I'm confident his experience and reputation are why our offer was selected. I highly recommend Max Armour for navigating the ever-challenging San Francisco real estate market.